As trained health care professionals, pharmacy technicians dispense medications and manage the day-to-day operations of the pharmacy under the direction of a registered pharmacist. 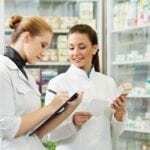 Pharmacy technicians work in hospitals, ambulatory health care settings, drug stores, community pharmacies, and retail chains. 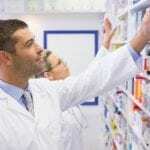 In retail pharmacists, a pharmacy technician will prepare and dispense prescription drugs, provide customer service, purchase stock, return expired and recalled medications, prepare chemotherapeutic and parenteral agents, prepare transdermal compounds and change dosage forms, and process insurance claims. The pharmacy technician training program gives students a solid foundation in the fundamentals of pharmacy and pharmacy terminology to be successful entry-level workers. Technicians must maintain a clean and organized environment, follow directions, be attentive and accurate, and adhere to state and federal regulations that govern practice. According to the US Department of Labor Statistics, employment opportunities for trained and certified pharmacy technicians will continue to rise in response to the wide availability of new drugs and increasing demand for medications to treat acute and chronic illnesses. Students enrolled in the pharmacy technician training at FORTIS will learn how to read, fill, and dispense prescriptions. They will learn to calculate dosages and understand common drug interactions and their side effects. The program covers 780 clock hours in 36 instructional weeks. Students graduate with a Diploma in Pharmacy Technician and earn 46-quarter credits. Course topics include the introduction to health professions, medical terminology, medical anatomy and physiology, fundamentals of pharmacy, drug classification systems, pharmacy practice and principles, pharmacology for pharmacy technicians, mathematics for pharmacy technicians, intravenous admixtures and aseptic compounding, and certification preparation and career development. The program includes a clinical externship to provide students with the opportunity to apply their knowledge in a real-world setting. Graduates are eligible to take the NHA or PTCB exam to become ExCPT or CPhT. Applicants must be 17 years or older, provide documentation of graduating from high school or college, submit a completed application form, take the Wonderlic SLE and earn a minimum score of 11, attend an interview with an admissions representative, and submit to a criminal background check and drug screen. Once accepted, the students must attend an orientation program. Tuition costs $15,071. Books and supplies cost an additional $765. The Praxis Institute offers a Pharmacy Technician Diploma Program to produce well-prepared graduates who are capable of assuming entry-level employment in community pharmacies. The curriculum covers 900 hours of instruction in infection control, history and ethics of pharmacology, pharmacy settings, pharmacy technician duties, sterile and non-sterile compounding, pharmacy administration for the pharmacy technician, calculation of drug dosages, administration of medications, and hands-on lab training. Students will also receive certification in HIV/AIDS, First Aid, HIPAA, OSHA, and BLS. Live externship training at a community pharmacy will give students the opportunity to put their knowledge to work and develop clinical skills. General admission requires a high school diploma or GED. 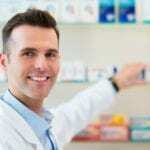 A criminal background check and drug screen may be required for participation in the pharmacy externship. Instructors will cover review sessions to prepare graduates for the Pharmacy Technician Certification Exam to become a Certified Pharmacy Technician and to register with the state board. Tuition for the 11-month program is $15,200. Registration is $100. Miami Lakes Educational Center and Technical College provides students with the educational training to meet the current needs of the health care industry. The goal is to provide the theoretical and practical instruction to help students choose, prepare for, and enter the industry as entry-level pharmacy technicians. Graduates are prepared for success on the PTCE. The curriculum covers 1050 contact hours in approximately 24 months for part-time students. Course modules include community pharmacy technician, basic healthcare worker, safe and efficient work practices, employability skills and entrepreneurship, and pharmacy technician. Applicants must be 16 years or older and have a high school diploma, complete a reading, math and language assessment, and attend an interview with a guidance counselor. The program is open for admissions three times a year. Admission is based on a first come first served basis. Tuition costs $2,688. Books and fees cost an additional $580. Barry University provides pharmacy technician students with the knowledge to pass the national certification exam and become a Certified Pharmacy Technician. The curriculum covers 72 hours of instruction in 12 weeks. The lecture-based program teaches students how to receive prescriptions, compound or mix medications, package and label prescriptions, perform inventory updates, count tablets and measure medications in other forms, and answer calls. Instructors will use quizzes, interactive exercises, and competency assessments to evaluate students’ readiness for the exam. Course topics include the role of the pharmacy technician, controlled substances prescription processing, pharmacy math, patient interaction, the dispensing process, patient privacy, drug and medical terminology, the principles of managed care, basic pharmacology, and basic anatomy and physiology. Other topics include over-the-counter products, unit dose and drug packaging, state law review, and non-dispensing duties. Tuition costs $1,450.